Organisations are increasingly looking to cloud-based business intelligence and analytics to deliver greater agility, cost savings and faster deployment. 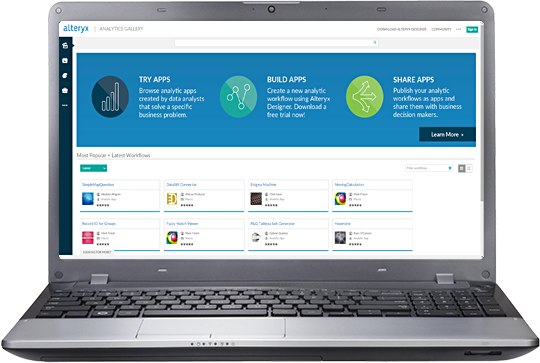 The Alteryx Analytics Gallery is the first analytics cloud platform to recognise that business decision makers expect their business applications to be as engaging as the apps they use at home. The Alteryx Analytics Gallery represents a revolutionary shift in how a data analyst can create and deploy analytic applications. The Alteryx Analytics Gallery does this by leveraging the power of the cloud for end-user efficiency and productivity you can publish, iterate, and update analytic applications, without any assistance from IT. 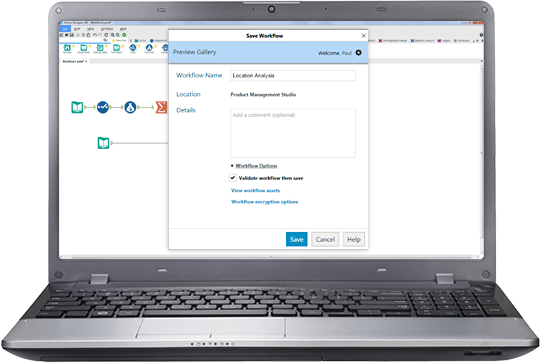 The Alteryx Analytics Gallery enables anyone to access and share sophisticated analytic applications at any time. You can simplify how everyone in your organisation consumes powerful analytics, improving your company’s overall agility and decision-making processes.